Adequate preparation of exterior timber surfaces prior to coating will greatly enhance the longevity of the coating and ensure less maintenance is required in the future. For best results it is important to choose the right timber cleaner. This will prevent early adhesion failure and drying issues due to contamination from tannins and extractives naturally found in the timber. 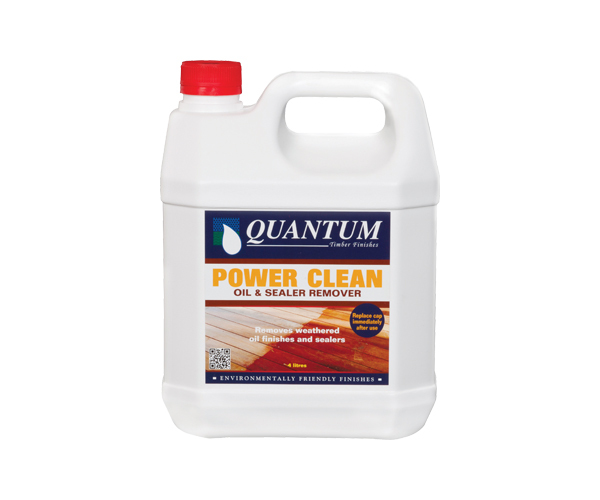 POWER CLEAN oil and sealer remover is ideal for removing oil treatments, sealers and weathered oil based finishes from external timber surfaces. Apply undiluted POWER CLEAN to a wet surface using a garden spray, brush or roller (no thinning is required). Failure to thoroughly remove the cleaning solution may result in timber discolouration under clear finishes. Allow POWER CLEAN to remain wet on the surface for approximately 10 minutes. (Do not let the product dry on the surface). Using a stiff bristle broom, scrub the surface to see if the coating has lifted. Use a strong jet of water or pressure wash to rinse the surface of the timber. Repeat if necessary. 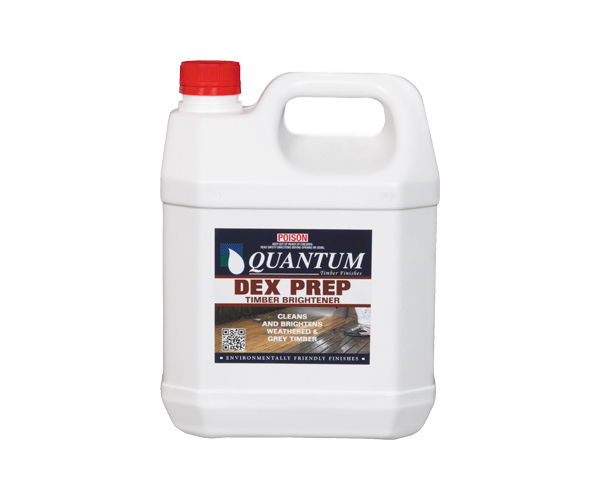 Follow up with DEX PREP to neutralise the timber and rid the surface of any darkening which may occur in the cleaning process.